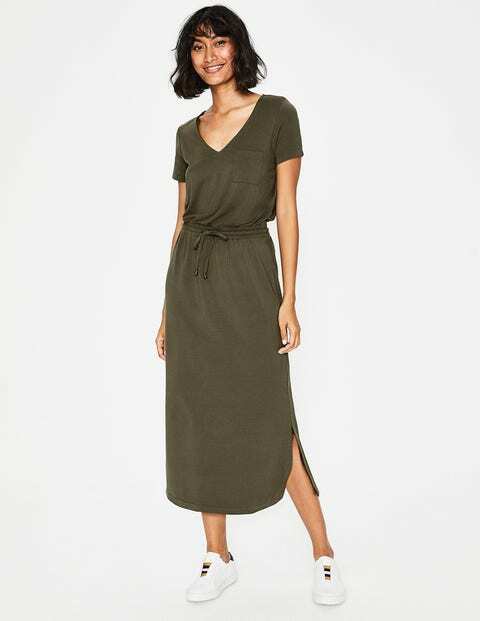 Make sunny-day dressing a cinch with this utility dress. The drawstring lets you choose between a relaxed or nipped-in waist and the simple midi length pairs perfectly with trainers and heels. Short sleeves and side splits in the skirt show a flattering hint of skin – whether you're running errands or reading in the garden.